Gary Alembik has ground to make up in the July 26 runoff for Fulton County Superior Court judge. Jewish judges held off challengers in DeKalb and Cobb counties, while Ahavath Achim Synagogue member Gary Alembik advanced to a runoff for a Superior Court seat in Fulton County in Georgia’s primaries Tuesday, May 24. According to results posted by Secretary of State Brian Kemp’s office, Eric Dunaway was the leading vote-getter in the three-way race to replace the retiring Judge Wendy Shoob on the Fulton County Superior Court with 47 percent. Out of 55,276 votes cast, he fell 1,670 short of a majority. As a result, Dunaway will face second-place Alembik in a runoff July 26. Alembik received 29.2 percent, while fellow Ahavath Achim member Andrew Margolis was third with 23.8 percent. Two other open Superior Court seats were contested in Fulton, while every judge seeking re-election to that court was unopposed. In DeKalb County, State Court Judge Dax Lopez cruised past Roderick Bridges, who tried to make Lopez’s Judaism an issue in the final week of the campaign. Lopez received 62.9 percent of the votes. Also in DeKalb, State Court Judge Mike Jacobs was re-elected without opposition a year after being appointed to the bench by Gov. Nathan Deal. 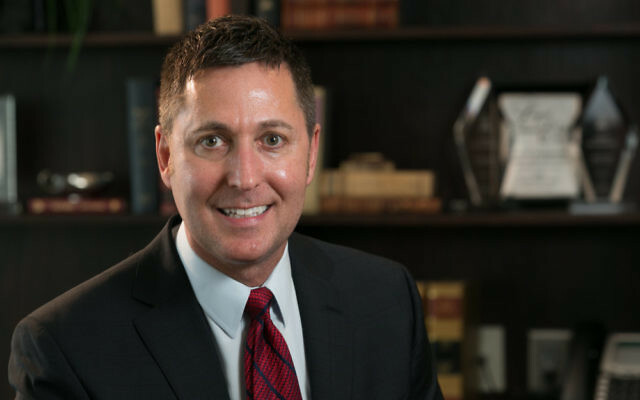 In Cobb County, Chief Superior Court Judge J. Stephen Schuster defeated two opponents, Juvenile Court Judge JoAnne Elsey and fellow Jewish lawyer Cindie Alter, a Temple Kol Emeth member. Schuster received 60.1 percent support, compared with 23 percent for Elsey and 16.9 percent for Alter. At the federal level, incumbent Johnny Isakson will face Jim Barksdale in the U.S. Senate election in November after Isakson took 77.5 percent of the votes against two challengers in the Republican primary and Barksdale received 53.8 percent against two foes in Democratic voting. Incumbent Congressmen Tom Graves, Barry Loudermilk and Doug Collins all had easy victories in Republican primaries. Loudermilk, with 60.3 percent against four challengers in the 11th District, will face Democrat Don Wilson in the fall. Graves, with 75.6 percent in the 14th District, and Collins, with 61.3 percent against former Congressman Paul Broun and three others, are assured re-election with no November opponents. In the race to succeed Lynn Westmoreland in the 3rd District, Angela Pendray topped Tamarkus Cook by 56 votes to win the Democratic nomination and in November will face either Mike Crane (26.9 percent) or Drew Ferguson (26.8 percent), who advanced to a Republican runoff against five other candidates.